Hand towel dispensers, 15 year old motorcycle helmets (you have to replace them every 2 years) surf boards, decades old faded and broken toys… But no typewriters. There was many stalls like this. Who can’t resist the charms of a SC Sterling? They are…. truly beautiful machines. The possum is getting into these herbs, but the view over the mountains here is quite nice. Note the ‘Queenslander’ type houses down the road. These are houses built on stilts and are unique to this part of the world. Feel free to tap out a letter. Oh…. and who’s this? Could this be the new acquisition that I used to type last night? ← Random thinking during an Australian dusk. Things are pretty much the same down here in Melbourne, Scott. 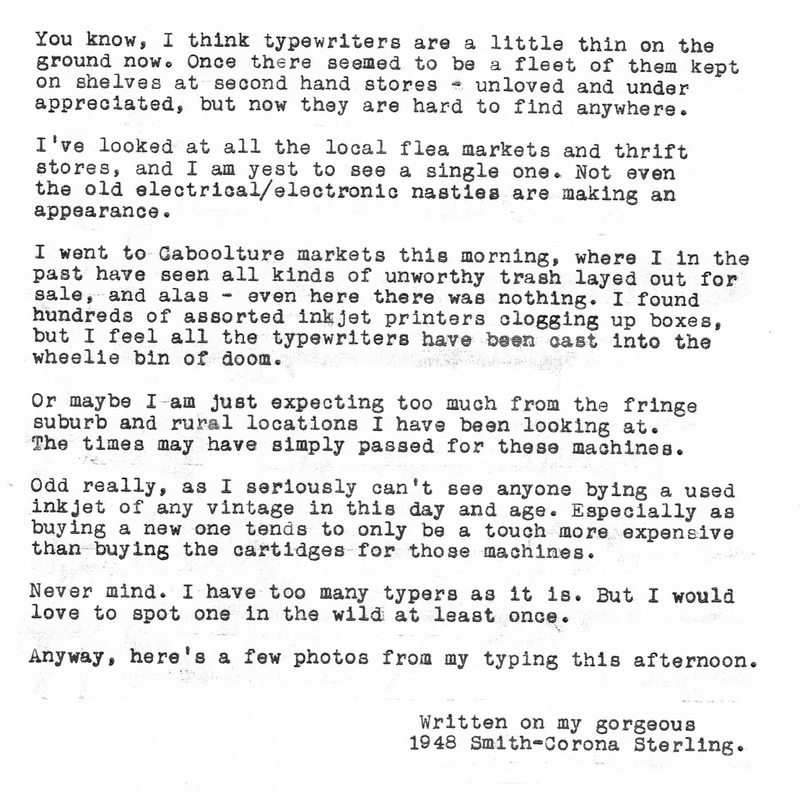 I'm not spotting any typewriters in Op Shops the way I did a year ago. Second-hand dealers are charging too much for crappy plastic machines (“What the hell's a Pinnock?! What? Ninety bucks???!!! )and the nicer ones are going for big bucks on eBay. But I have seen some beauties on the 'bay in recent months. Pricey, though. 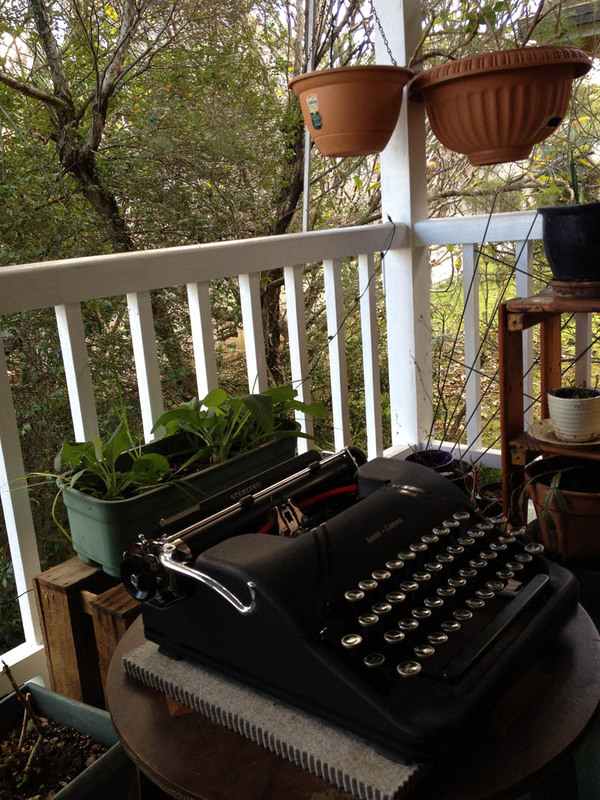 Still, you (and I) have a '46 Smith-Corona Sterling. It's pretty much all down-hill from there. I was hoping it was just a Queensland thing. Melbourne tended to be a bit more industrious, while Queensland was far more oriented towards the rural in the era of the typewriter. But Ebay seems to be yielding from mostly NSW and South Australia. I think I paid a little too much for my SC. But now when I see them on ebay I see them listed as WAY too much. Such an awesome machine! I've looked at the photos on yours, and I have to say, that chap in Carlton you took it to did an awesome job. I'll be keeping my SC for a long time yet, I think. Worth everything I paid for it. Hey, nice to see these pics and get a sense of place. Thanks. 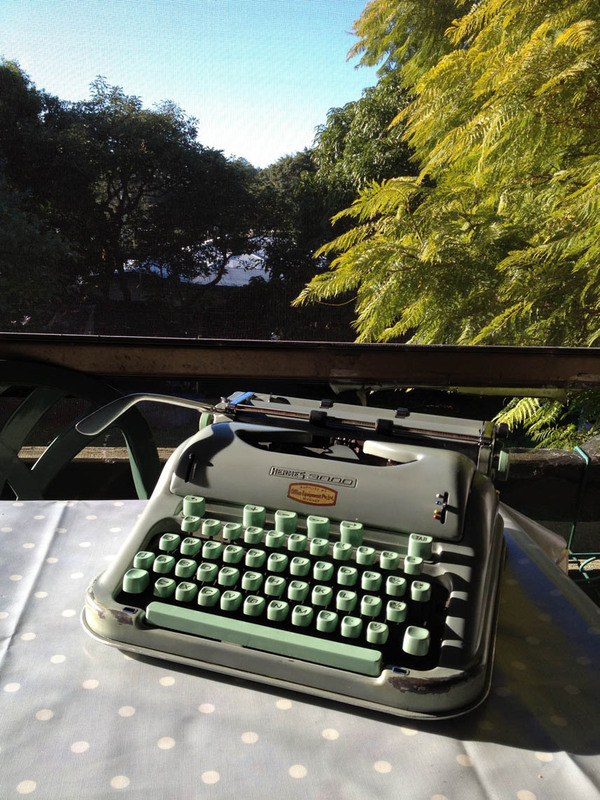 You know, we should all organize a “typewriter safari” and head for Geneva! Agree, the SC Sterling is handsome. I know it's one of Tom Hanks' favorite. Your environs look lush and lovely. You're right, who would buy a used inkjet printer? They must be worth pennies. That is a nice looking machine. I passed on a couple of these last year at a local antique mall. I had not realized they were great to type on. Your typing location looks fabulous! The places that would normally be decent hunting in my part of middle America are pretty dry as well. I've seen a few standard desktop machines and Royal QDLs in the wild. The few portables I've seen were either really beat up or overpriced. The only exception was a grubby Barr Universal with issues that was priced in key chopper territory. Most of my acquisitions come from ebay. And yes, I too see a lot of inkjet printers. They are a sad reminder of a throwaway culture. That Sterling is beautiful. I must say that I rather like my SC Standard of about the same vintage. Quite a nice typer, and a looker as well. On the front of the Hermes 3000…do I spot a service sticker? I LOVE those, and would love to know what it says. Those can really be a selling point for me. It's nice to know some of the history of the typewriter, and service stickers are great for that. Great find! Ha ha ha …. Geneva (at least on current data) seems to be the typewriter capital of the world. Personally, I'd like to try a trip to Canada. Those dreadful 'Lexmark' printers seem to be in boxes everywhere. People seem to be asking absurd amounts of money for things that are unusable. Especially when so much better ones are available ultra cheaply everywhere. I mean, when they bought those Lexmark things, they were certainly buying at a cheap price point as it was. I don't get it. Yet to so many, typewriters are throw-away rubbish. I would love to get my hands on a QLD. But alas….. The Sterling isn't my most amazing typer, but it is probably my nicest looking. It does type well, and I would recommend giving one a try. Mine is no shelf show pony, although I often have it out on display. 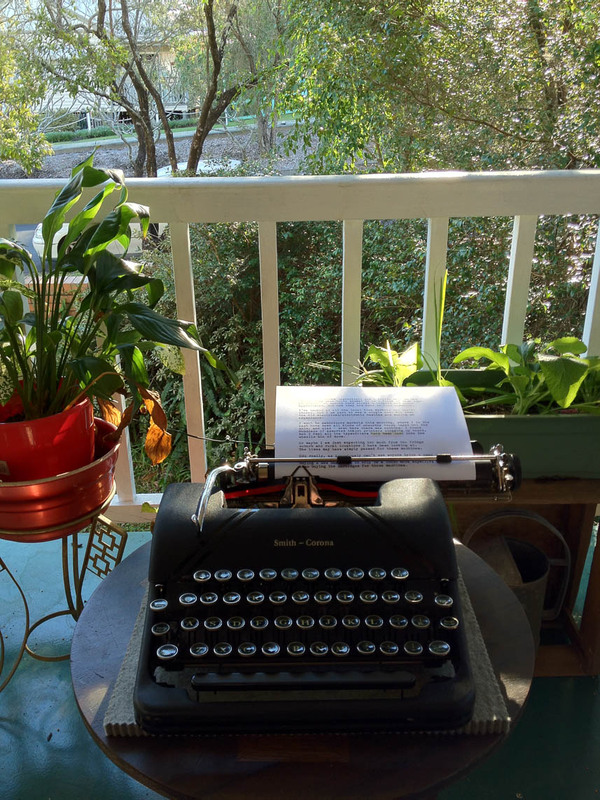 It sits right next to my desk on the shelf, and is probably my most used (to date) typewriter. Thanks Ken. I fell in love with it the first time I saw it. I just had to have one. And I use it frequently. On the front of the Hermes 3000 is the original office equipment shop label that it was purchased at. 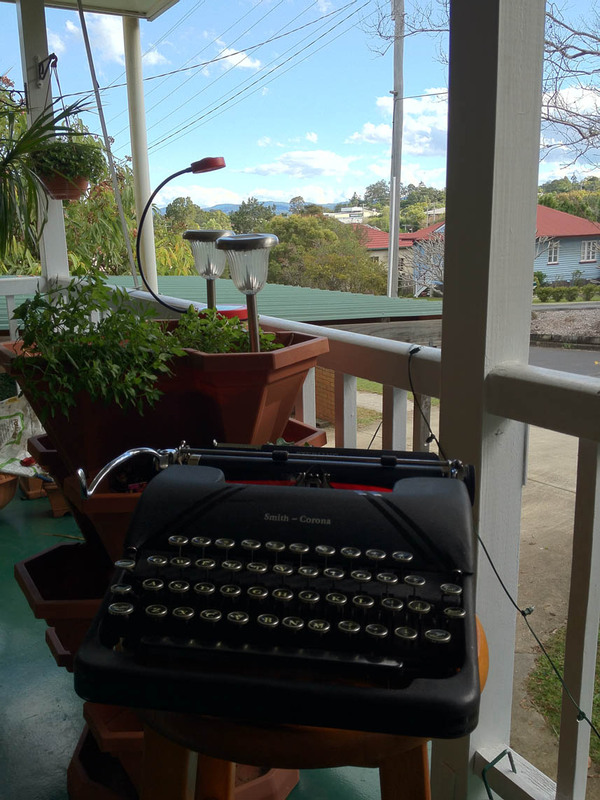 It has done a few miles this typewriter, originally being bought in Sydney, then taken to Melbourne (where I acquired it), and now it lives with me in Brisbane. I'm not familiar with the SC standard of that vintage. I'm going to have to look for that now! I always thought they didn't make them! You're now a full member of the H3K club! Agree on the low numbers of typers in op shops etc – thing is, people are wising up to Ebay and mistakenly thinking they can expect $150-200+ for a downbeat, common-as-chips typer from the 70s. Also, there used to be a typewriter museum at Caboolture (Historical Village or something). Not sure if it's still there – but that was a serious collection built up by people in the industry, back in the day. I know what you are talking about. Seeing Adler Contessas going for $200 is absurd. Incidentally, I picked up the Hermes for well under $100, which makes me wonder… WTF is happening when people are buying those plastic pieces for so much!?! 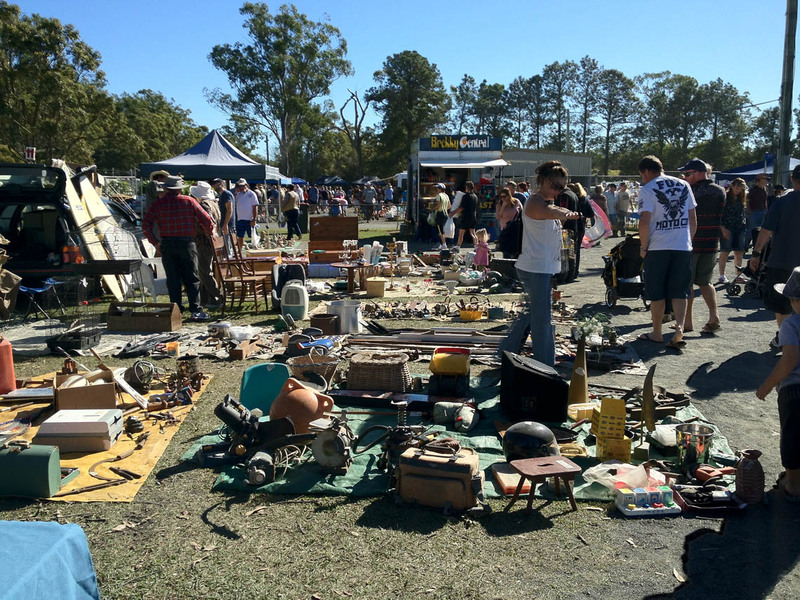 Caboolture historical village? I'd never heard of it! Yep, still there! Geez. Time to go have a look. And, I think we need to get our Hermes out for a drink and a type.